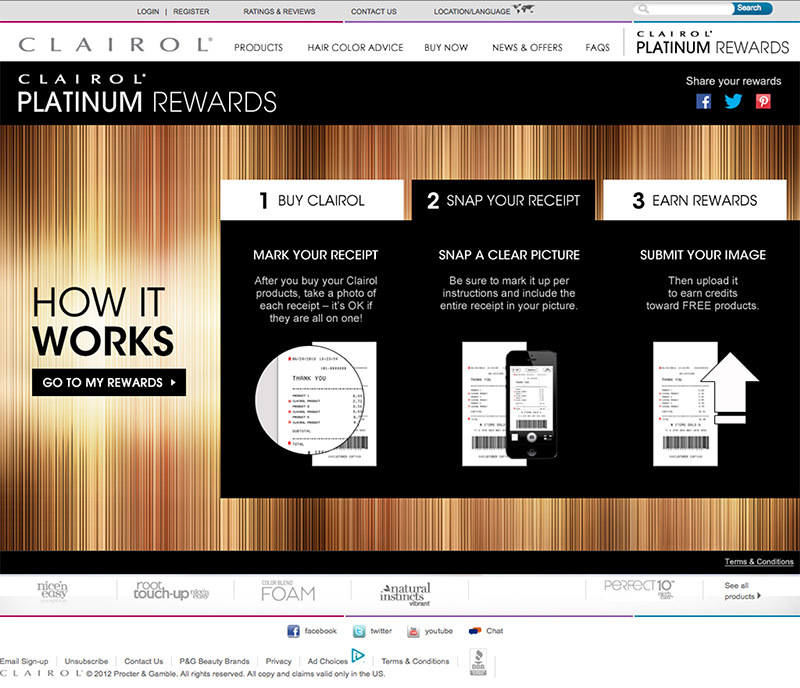 CLAIROL BLAZED THE WAY IN CUSTOMER LOYALTY BY REWARDING THEIR FANS WITH FREE PRODUCT AND EXCLUSIVE PREVIEWS. 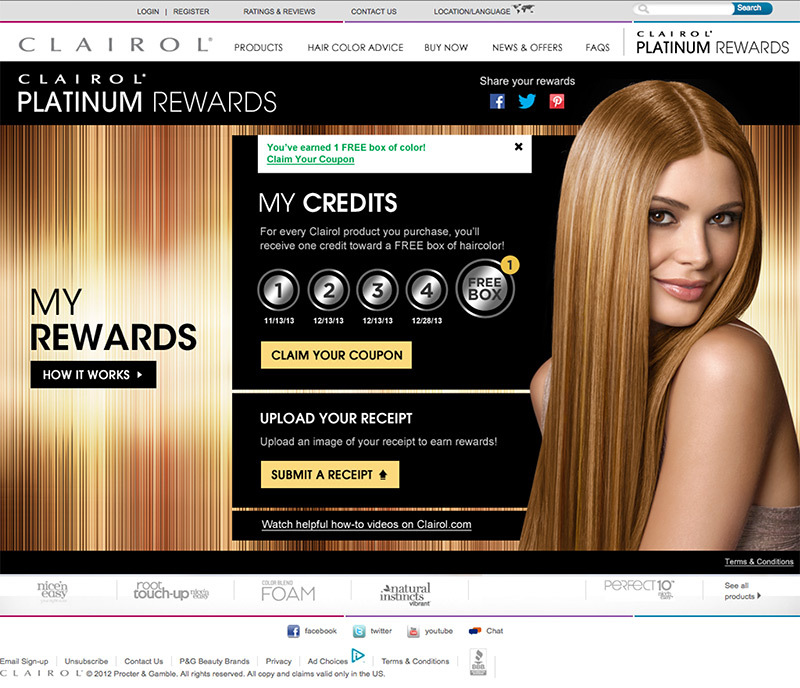 The first ever rewards program offered by P&G on any of their products, the Clairol Platinum Rewards Program served as an internal case study for future programs. 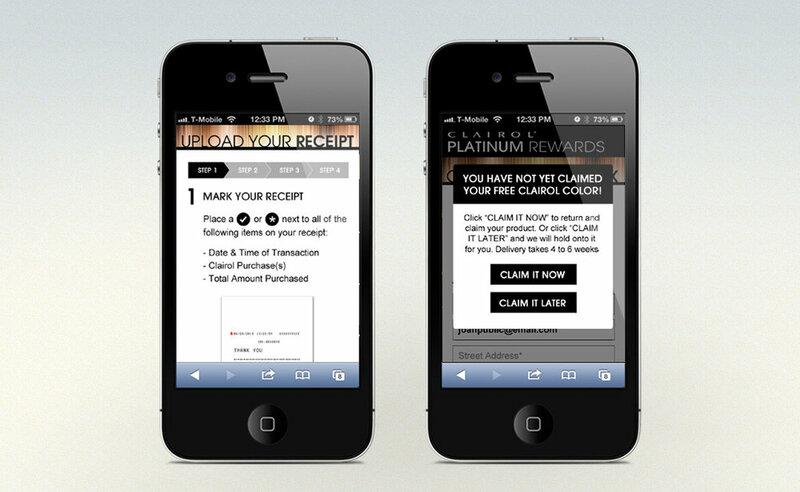 It tied together Point of Sale promotions, custom packaging and online experiences. The program consisted of an aggressive "buy 4 get 1 free" offer. 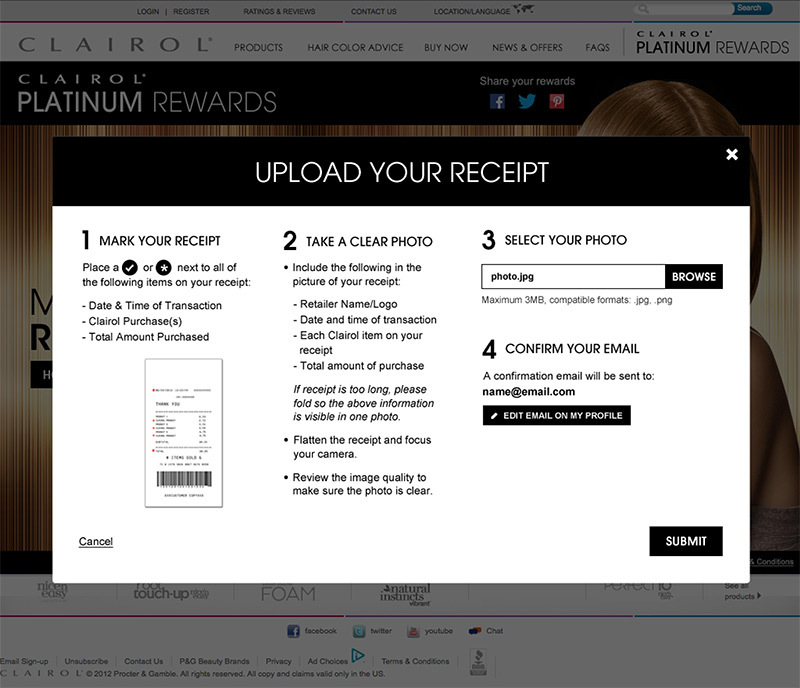 Users registered to receive exclusive previews and offers and received a coupon for a free full size product after scanning and uploading their purchase receipts and accumulating points.